He is a graduate of the Feliks Parnell State Ballet School in Łódź, the Fryderyk Chopin University of Music in Warsaw, which he cooperates with as a teacher. At first he performed at the Music Theatre in Łódź and then he moved to the Grand Theatre in Poznań. 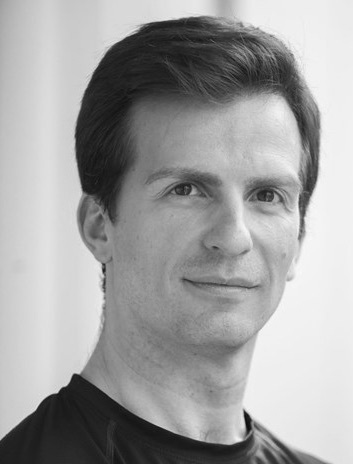 In 2005 he joined the Ballet of the Polish National Opera, currently the Polish National Ballet and in 2008 he started cooperating with Aleksandra Dziurosz’s Warsaw Dance Theatre. He got the 2nd prize and the special prize of the Witold Lutoslawski Society at the Bronislava Nijinska National Choreography Competition in Warsaw (2008) and Jan Kiepura Award in the category Choreographer of the Year 2011 in Poland. As a guest choreographer he staged his works with companies in Poland and abroad, among the others for the Lithuanian National Opera and Ballet Theatre in Vilnius, Company E from Washington (USA) and several times for the Polish National Ballet. His choreographies were presented among others at the Polish Dance Competition in Gdańsk, at the Didura Festival in Sanok, the 43rd International Dance Festival in Kuopio, in the Moscow Bolshoi Theatre, The John F. Kennedy Center for the Performing Arts in Washington, Xinjiang International Dance Festival in China. Marioenrico D’Angelo is an Italian dancer and choreographer currently residing in Germany. From 2008 to 2012 he was a member of Spellbound Contemporary Ballet and performed Mauro Astolfi's works in Italy, Spain, the USA, Germany, France, Korea, Switzerland, Belarus and Thailand. In 2013 he joined the Saarländisches Staatstheater where he performed in choreographies by Stijn Celis, Ohad Naharin, Johan Inger, Anna Konjetzky, Jirí Kylián, Marguerite Donlon, Duda Paiva, Alexander Ekman and Mark Baldwin. He was awarded the first prize at the international competition « DanzaSi » for the category Soloist in 2007. His first experience as a choreographer was in 2013 with his creation ''Stipo A.'' for Equilibrio Dinamico Dance Company. Australian born choreographer Craig Davidson received his dance education with the New Zealand School of Dance. After graduating in 2002 he joined the Finnish National Ballet, Royal Ballet of Flanders (2003-2013) where he was promoted to a Soloist, awarded a Critics Choice Award by Dance Europe for ‘Most Outstanding Performance by A Male Dancer’ for his performance in Impressing the Czar by William Forsythe and choreographed his first ballet in 2006. In 2013 he joined Tanz Luzerner Theater in Switzerland and in 2014 moved to Germany to become a Soloist with the Semperoper Ballett. 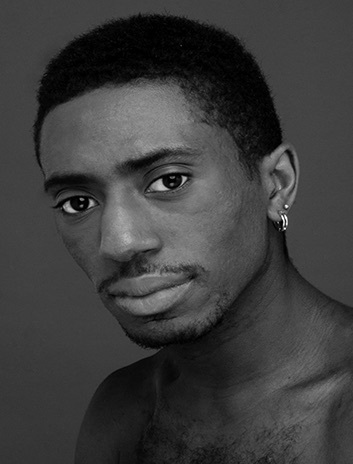 He has performed many soloist roles in numerous versions of the classical and contemporary repertoire as well as working with choreographers such as William Forsythe, Jiri Kylian, Matz Ek, Wayne McGregor, David Dawson, Christian Spuck, Jacapo Godani, Nicolo Fonte, Jorma Elo and Alexander Ekman. As a choreographer he has been commissioned to create new works for West Australian Ballet, Ballett Dortmund Junior Company and most recently ‘Remembrance/Hereafter’ for Atlanta Ballet. 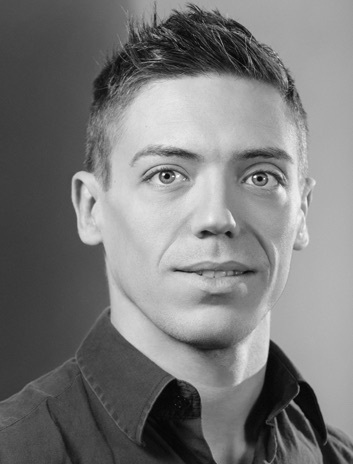 Over the past three years, Craig has created works for the dancers of the Semperoper Ballett and his work has been seen internationally and performed by principal dancers from the Royal Ballet, Semperoper Ballett, Ballett Zürich and Ballet de l’Opéra de Paris. 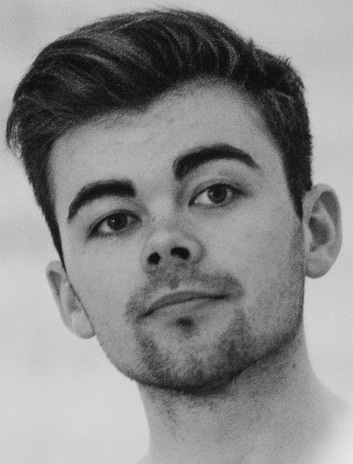 Craig has also participated in DanceLines, a choreographic development initiative at the Royal Opera House in London in 2013 and the New York Choreographic Institute in 2014 & 2017 where he created works for the dancers of the New York City Ballet. Additionally, he became the director of Creative Arts Davidson in 2017 and created ‘Lightness of Being' for the organisations first project and had his work presented at the Kunsthalle museum Zürich. Julien Guérin, French, began dancing at Ecole Nationale de Musique et de Danse de La Rochelle then studied at Conservatoire National Supérieur de Musique et de Danse de Paris of which he was graduated in 2002. He successively danced for the following companies: The Atlantic Southeast Ballet, The English National Ballet, Opéra National de Bordeaux, The Scottish Ballet and has been dancing for Les Ballets de Monte-Carlo since 2007. He obtained the Classic Dance Teacher’s State Degree in 2005. As an interpret, he dances the choreographies by George Balanchine, Derek Deane, David Allan, Davide Bombana, Vaslav Nijinsky, Rudolf Noureev, Maurice Bejart, Roland Petit, William Forsythe, Marco Goecke, Sidi Larbi Cherkaoui, Emio Greco, Natalia Horecna, Jiri Kylian, Ashley Page, Natalia Horecna ,PeterAnastos ,Nicolo Fonte, Jean-Christophe Maillot. As a choreographer, he created several ballets for Les Ballets de Monte Carlo notably "Chase the Score" (2008), "Verwirrung Der Gefühle" (2012), "Soir de Fête" (2013), "Theorem68" (2016). "Somnia Vertigo" (2014) in partnership with le Jeune Orchestre International de Monte-Carlo led by Alessandro Crudele, "Elles" (2016), "Esquisse" (2017), "Ostinato graphique" (2011), "Tribulations" (2012). Moreover, he is often invited to choreograph for Cannes Jeune Ballet : "Communication à une académie" with the music composer Sebastien Gaxie in 2010 and "Piano Poetry » in 2017. In July 2013 he was nominated for the "Rolex Mentor & Protégé Arts Initiative » prize. 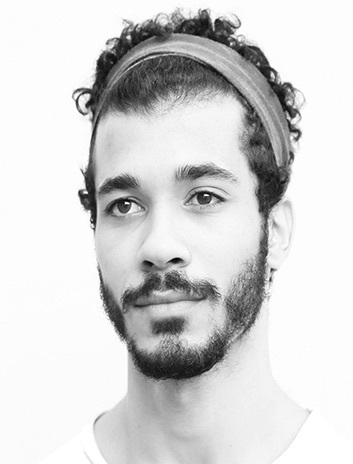 In 2014, he was selected to choreograph at New York Choreographic Institute ( affiliated with New York City Ballet) and created therein "Baudelairean Souls » with the music composer Gity Razaaz. For Belarussian-born Ludmila Komkova, childhood was already taking place on and behind the stage.This daughter of two principal dancers at the National Academic Bolshoi Opera and Ballet Theater of the Republic of Belarus in Minsk attended the Belarussian State Collegium from the age of 11 and finally the John Cranko School in Stuttgart. Following her education, she was engaged as a dancer at the Staatstheater Chemnitz in Chemnitz (Germany).Since 2008, she has been living and working in Wiesbaden (Germany), first at the Ballet of the Hessisches Staatstheater Wiesbaden under the direction of Stephan Thoss, and since 2014 in the newly founded Hessisches Staatsballett under the direction of Tim Plegge. In 2012, she was nominated for her portrayal of Juliet in « Romeo and Juliet » (Stephan Thoss) in the review of the journal Dance as a « Dancer of the Year ». 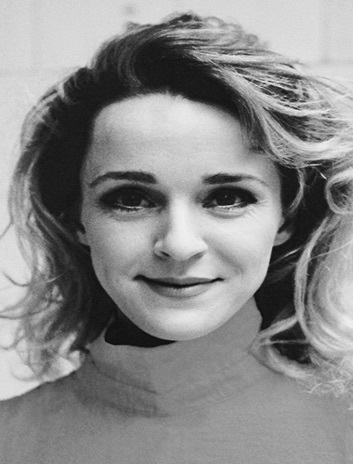 She worked with some prestigious choreographers as Jiří Kylián, Johan Inger, Bertrand D'at, Richard Siegel, Jeroen Verbruggen. She have made her first choreography in 2013. Born in Italy, Mattia Russo studied at the Accademia nazionale di Roma and Scuola di Ballo teatro alla Scala. He was part of the Generalitat Valenciana Ballet, joined Introdans then the Compañía Nacional de Danza de España in 2012. He has danced leading roles in Nippon-Koku, Carmen and Walking Mad, Unsound, Casi-Casa, Romeo and Juliet or Mirage choreographed by himself and Antonio de Rosa. He has also worked with Itzik Galili, Ohad Naharin, Sidi Larbi Cherkaoui, Jirí Kylián, Robert Battle, Didy Veldman or Hans van Manen. Born in Italy, Antonio De Rosa studied at the Accademia Nazionale Di Roma and Scuola Di Ballo Teatro Alla Scala. He first worked at Maggio Fiorentino, Arena Di Verona and Teatro Alla Scala. In 2011 he joined the Compañía Nacional de Danza de España and was promoted as soloist dancer two years later. He has danced leading roles in Herman Schmerman; Casi-Casa; Romeo and Juliet; Sonatas or Mirage choreographed by himself and Mattia Russo. He has also danced in ballets by other prestigious choreographers such as Rudolf Nureyev, George Balanchine, Maurice Béjart, Roland Petit, Jiri Kylian, Itzik Galili, Ohad Naharin or La Veronal. In 2015 he premieres the roles of Don José and Escamillo in Carmen by J. Inger. As choreographers, they have created several pieces for CND and for there own company KOR’SIA, created in 2015. KOR’SIA has been awarded with the 1st Prize at the 21st edition of the Concours Chorégraphique Contemporain Jeunes Compagnies (France) for CUL DE SAC and the 2nd Prize for YELLOW PLACE at the Copenhagen International Choreography Competition. Antonio de Rosa and Mattia Russo have been awarded with the Young Talent Capri-Positano Prize in 2016.